dublin popup shops | SHEmazing! HomeTagsPosts tagged with "dublin popup shops"
Calling all beauty queens! 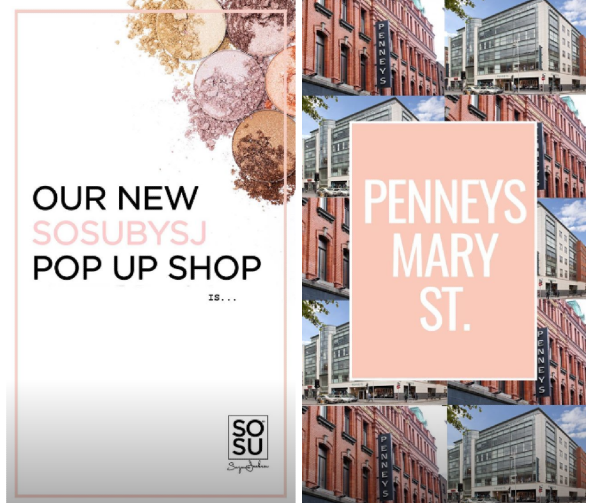 So Sue Me is launching a pop up shop in Dublin and we’re freaking out. The popular blogger Suzanne Jackson announced the news on her makeup line’s Instagram today. SOSUbySJ featured all the details of the store’s opening on their story. It will open on Wednesday the 24th of October in the Penny’s on Mary Street. Make sure to get there early, for it opens at 8:30am and we can count on a line forming. Not only will you be able to buy all their SOSUbySJ products, but they will have professional makeup artists present as well. They will have six of Dublin’s finest artists performing makeup services for customers in attendance. It will be the perfect opportunity to pick some sparkly autumn-coloured shadows or Dripping Gold tan to complete your Halloween look. (Because how pale our winter legs are is not supposed to be the most frightening part of our costume). 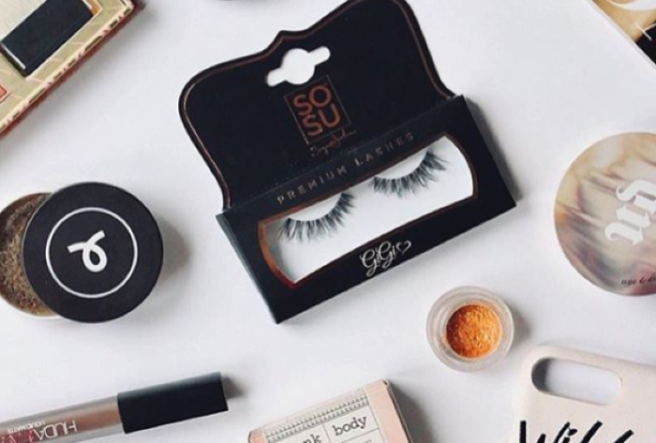 The award-winning beauty brand has also debuted a new line of false eyelashes called 7 Deadly Sins that fans can’t stop lusting after. So make sure to stop by the pop up shop on Wednesday to grab a few products and become the envy of all your friends.